Are you concerned about your dog’s anxious behavior? Does your kitty cower and hide under the bed for long periods of time? Do you suspect that your pet may be suffering from general pain and nausea? Using CBD oil for pets can be a great way to help them in a healthy and natural way. Pet CBD oil works on pets, similar to humans, and boosts their overall health. Pet hemp oil may be helpful for dogs, cats, and horses. If you’re not sure why you would buy pet CBD in the first place, read on. Pet CBD oil has demonstrated proof of being able to be highly beneficial in calming down your pet in a variety of situations. These can include circumstances such as long distance traveling, during loud celebrations or fireworks, aggressive behavior, and general pain. 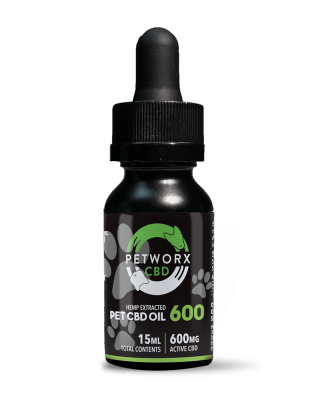 Our highly concentrated Petworx Pet CBD Oil is natural, safe, and non toxic for your pet. Its effects are non psycho active because it is completely free of the euphoria producing chemical THC. THC is the chemical responsible for producing the effect of feeling high or stoned. This can affect both humans and animals alike. You definitely don’t want to be giving your pet anything that could cause them to experience this sensation. It would be very disorienting and uncomfortable for an animal. Many would also consider it unethical and inhumane to provide a mind altering substance to a pet. Luckily, this pet hemp oil is free of THC or any sort of substance that might cause your pet discomfort. Pet CBD oil is specially formulated for your furry friends and their optimal health, comfort, and wellness. We like to call pet hemp oil “The Stuff That Your Pets have Been Asking For”… if they could only talk. You may or may not spend lots of time chatting with your pet, but how often have they responded? We bet that if your pet could respond, he or she would put in a special request for CBD oil for pets! So, what’s in our CBD oil for pets? Before you buy pet CBD, you certainly want to be aware of what it may contain. You should only buy pet CBD after you’ve done a bit of research. Make sure it has the potential to help with your pet’s problem and is safe for him or her to consume. A great pet hemp oil product starts with great ingredients. We use only the finest and most pure hemp in our CBD oil for pets. If you’re looking for the right place to buy pet CBD, you’ve found it. Want to know more about CBD oil for pets? Here are some fast facts for you to review before you buy pet CBD for your own beloved dog, cat, or horse. You can trust us to provide high quality CBD products at a fair and affordable price you can afford. We deliver on the promises we make when it comes to our CBD products because we want you to keep coming back! If you’re not sure how to incorporate CBD oil for pets into you and your pet’s daily routine, that’s okay. We’re here to help and we can assist you through this process. If your pet has the unfortunate situation of experiencing any of these things, CBD oil for pets may be the answer you’ve been desperate for. Those conditions are not fun for anyone — the pet or the pet owner. And as your pet’s biggest fan, you of course want to help them achieve optimal health. Making your pet’s life comfortable, happy, energetic, and care free should be your top priority! Wondering about the ingredients of our pet hemp oil? This won’t take long… our CBD oil for pets contains just 100% Hemp Extracted CBD and Organic MCT Coconut Oil! Our pet CBD oil is highly concentrated. Thus, one dose of CBD oil for pets requires only a few potent drops of this natural elixir. Each 15 ml bottle contains about 300 drops of pet CBD oil. For best results, you should put the pet hemp oil drops directly into your pet’s mouth. Ideally, place the drops of pet CBD oil under the tongue. They will dissolve and absorb in a sub lingual fashion. Pet hemp oil can also be added to their favorite treat… provided that you tell them to sit first! CBD oil for pets is a treat for everyone. Some pets don’t like to take their medicine! It may not be easy, but it will be worth it to give your pet CBD oil. Of course, using a CBD oil for pets is a relatively easy way to provide your pet with the much needed CBD their body desires. Instead of tricking them into swallowing a pill or giving them CBD in some other way, being able to place the oil in their mouths is a mostly simple way to use it. That’s how we recommend doing it, but you are definitely able to try out different approaches and see what works for you. You should always consult with your veterinarian before using pet CBD oil on your pets. 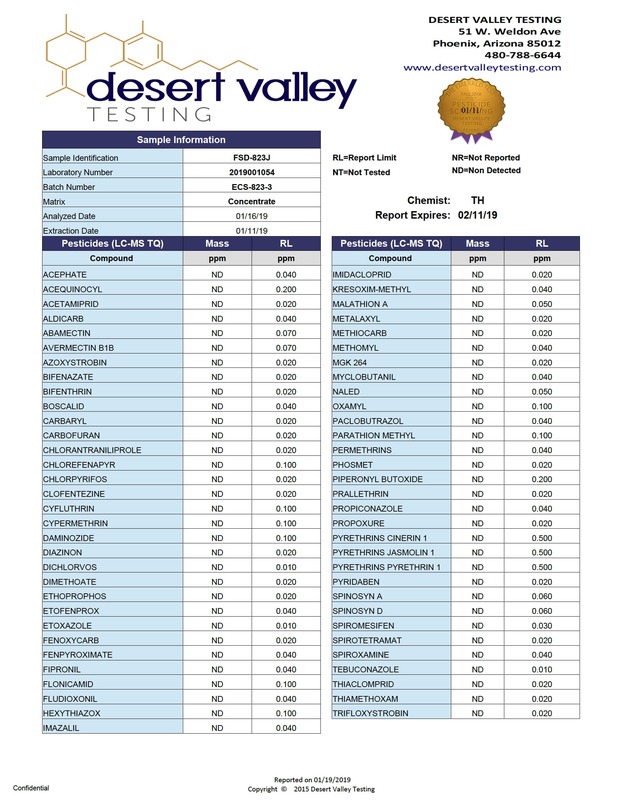 However, once you have the go ahead to provide CBD oil for pets, here is the dosage amounts we recommend when it comes to dogs and cats. A 15 ml container of pet CBD oil should last 30 to 60 days depending on the frequency used. Under 20 pounds: Start with 2 to 3 drops (0.1 ml) at a time, 3 to 4 times per day. Over 20 pounds: Start with 3 to 4 drops at a time, 3 to 4 times per day. These dosages should be enough to make a difference in your pet’s life. Keep up with their new CBD routine and stick with it for at least a couple months. Then, you can determine whether or not you feel the CBD is truly helping your pet feel better. Yes, you can provide CBD oil for pets to your horses! Believe it or not, even these majestic creatures may be able to benefit from taking pet hemp oil. Start with 15 drops (0.5ml) at a time, three times per day. Wondering where you can buy pet CBD for your favorite four legged family member? You don’t have to go far. Here on our site, you can buy pet CBD and have it arrive right at your doorstep. No hassle, no traveling, and perfectly convenient. All you have to do to buy pet CBD is place your order on our site. The pet hemp oil will arrive to your doorstep within days. No need to figure out where you can buy pet CBD in your city or town. No need to disturb your schedule with the inconvenience of making a special trip. Simply buy pet CBD from us and we’ll take care of the rest. But wait… is this legal? We’ve received this question plenty of times before. Not to worry! Yes, buying pet hemp oil for your dog or cat is perfectly legal in most places. How can this be? It goes back to the fact that our pet CBD oil is free of the psycho active chemical THC. Because this pet CBD oil does not contain anything that would cause a mind altering effect, it is legally available in most places across the United States. Why not buy pet CBD today and see if it may be able to help your furry friends? We are happy to answer any questions you may have and provide assistance where we can. 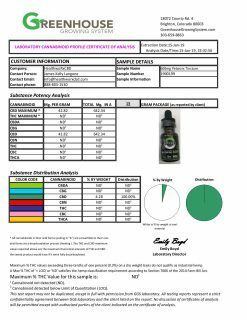 Check out our wide range of CBD products today and see if you might also want to order something for yourself. Orders are shipped on weekdays via USPS. All orders are processed in 24-48h. Orders made on weekends or holidays will be processed on the next business day. Customers can expect to receive their orders once they are shipped within two (2) to ten (10) business days. Orders received after 1pm MST are shipped the next business day. Customers are responsible for checking their shipment for damage at time of delivery. Claims for product damaged during shipping must be made within 72 hours of receipt. Our products are legal to ship to all 50 states and US territories. We are a Colorado-based company focused on manufacturing and providing the highest quality CBD oil and hemp extracts in the world. The statements made regarding these products have not been evaluated by the Food and Drug Administration. These products are not intended to diagnose, treat, cure or prevent any disease. Please consult your health care professional about potential interactions or other possible complications before using any product. The Federal Food, Drug and Cosmetic Act requires this notice. Subscribe to our newsletter and receive special deals and discounts.